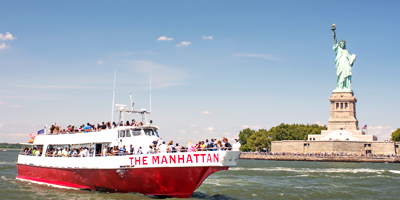 Our tours are created by a team of local experts who know NYC inside out. 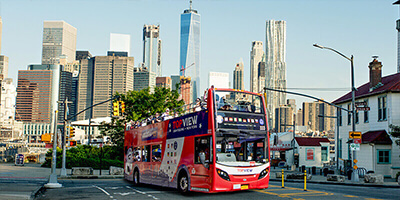 We’ve got New York City covered: Downtown, Uptown, Brooklyn, The Bronx as well as The Night Tour–If it’s worth seeing–our hop-on hop-off NYC bus tours go there! 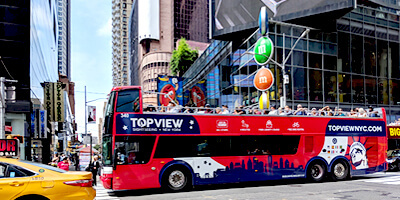 TopView® offers the best New York sightseeing bus tours led by local experts so you won't miss the most important attractions. 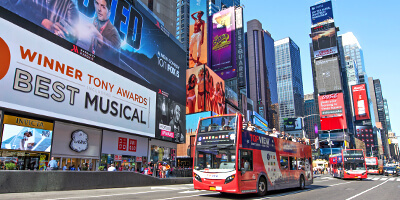 On our NYC bus tours, hop on, hop off, and take time to enjoy all of the different places to visit in New York City. 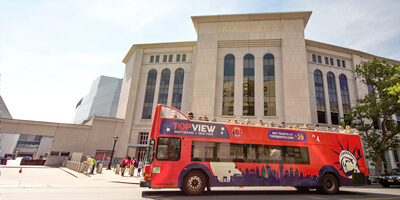 We have dozens of hop-on hop-off bus tour stops near all major points of interest. 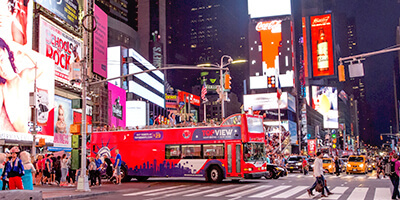 Our New York sightseeing bus will take you by all of the biggest NYC attractions! 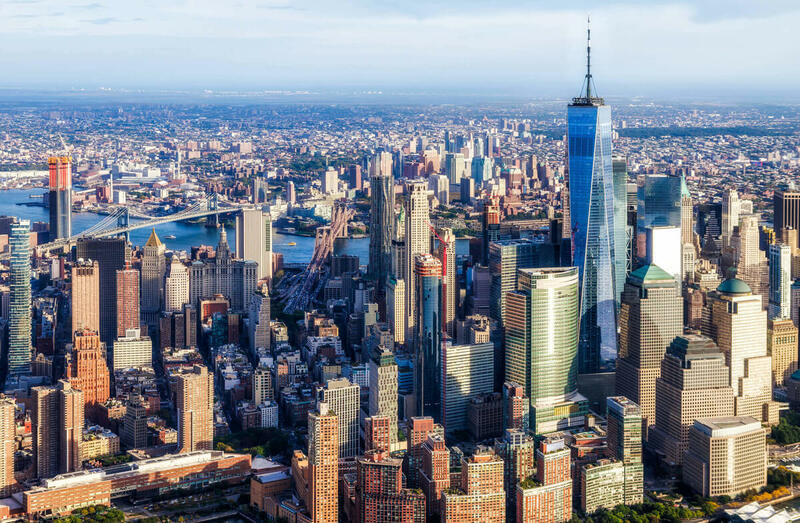 We have five New York tours that allow you to experience the best of New York City, including two hop-on hop-off NYC bus tours, Downtown and Uptown, along with Brooklyn, the Bronx, and an exciting Night Tour route! 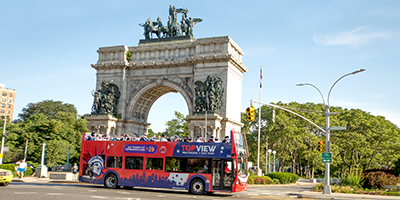 While enjoying our NYC bus tours, hop on or hop off to take part in the excitement, explore the sights, and make the most of your visit. 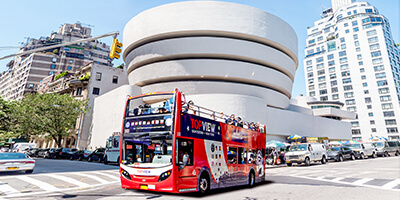 We'll make sure you hit every stop on your list of NYC attractions to see and give you plenty of Instagram-worthy views from atop our NYC sightseeing bus! 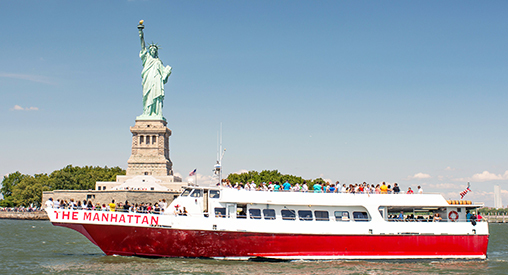 Our New York tours and sightseeing packages include multi-day passes and 24-hour passes as well as individual hop-on hop-off and nonstop double-decker tours. 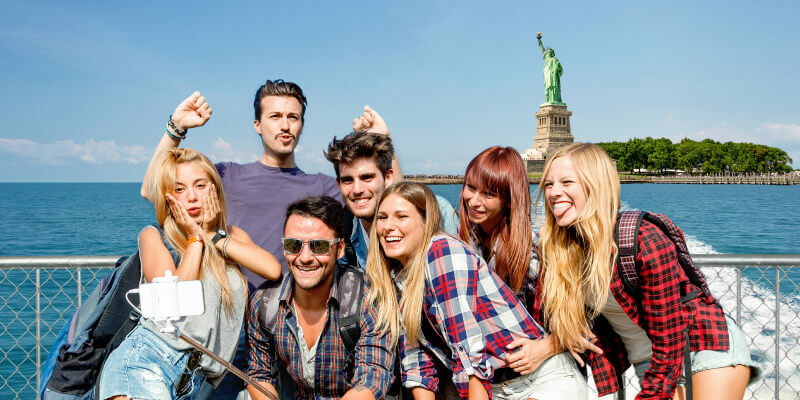 We offer plenty of choices so you can customize your New York City tours any way you want, and our flexible ticketing means that you can buy your tickets online now without having to plan a set schedule: Once you book your tour or package, you'll have twelve months to exchange your online booking confirmation for a boarding ticket. 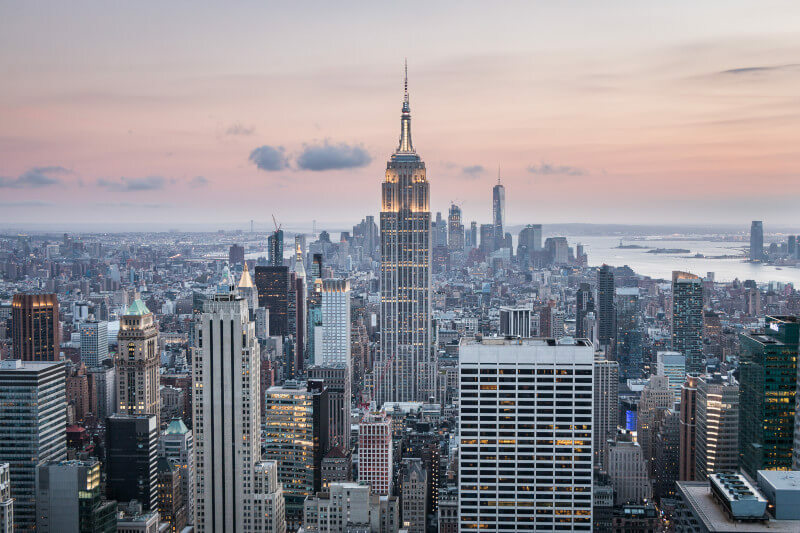 And our buses run seven days a week, 365 days a year, in any kind of weather, so no matter when you choose to visit New York City, we can help you make the most of your trip. 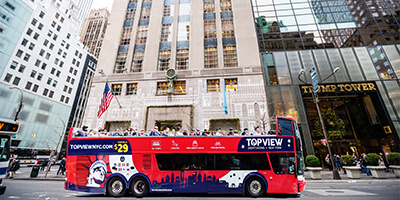 Whether you want a day trip or simply to see the city sights at nighttime, you will find a TopView® sightseeing pass that fits your needs. 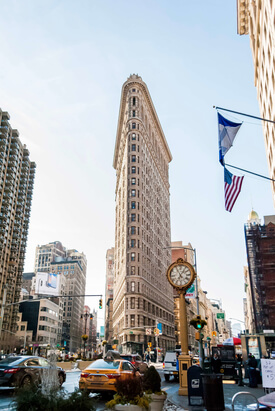 Learn more about the history, culture, and architecture of this one-of-a-kind city with our audio narration. 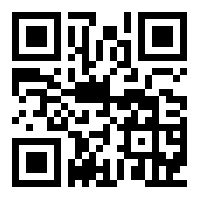 Our big bus tour is available in 11 languages, with free earphones provided. And this isn't the only perk we offer! Our New York tours also provide free ponchos for rainy days. 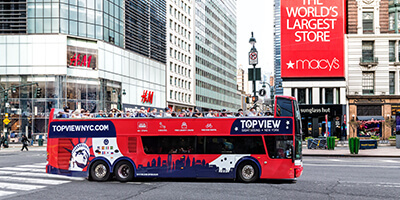 No matter your travel style, an adventure with TopView Sightseeing® will add convenience and comfort to your trip. 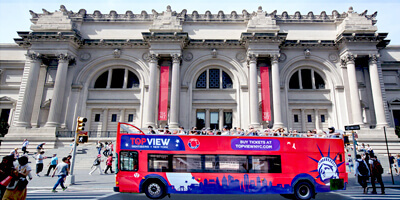 More than two million people have already discovered why TopView® is the best choice for Big Apple sightseeing. 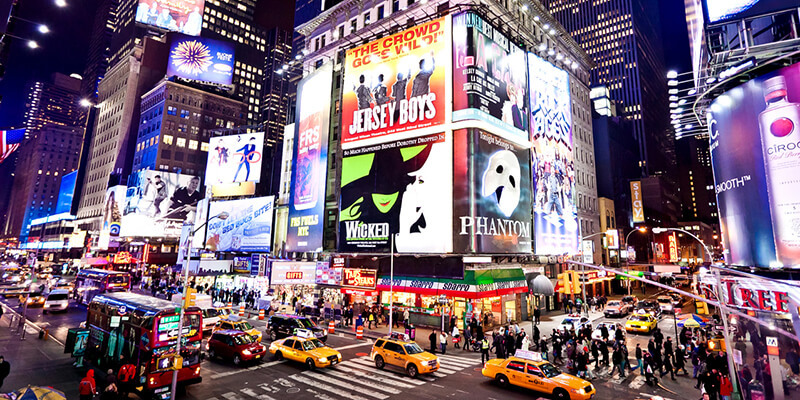 For the best NYC bus tours at the best prices, book with us today! 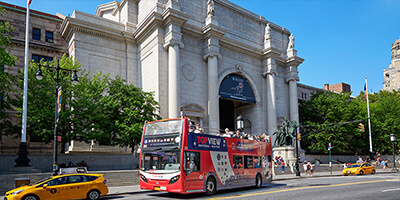 When you book our New York City tours as part of a complete All City package, we also include a free bike rental, so you can cruise Central Park the way it was meant to be enjoyed, as well as free admission to the Museum of the City of New York. 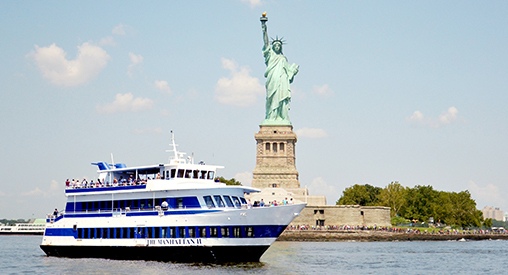 You can also enjoy a Liberty Cruise of New York Harbor and get close-up views of the Statue of Liberty. 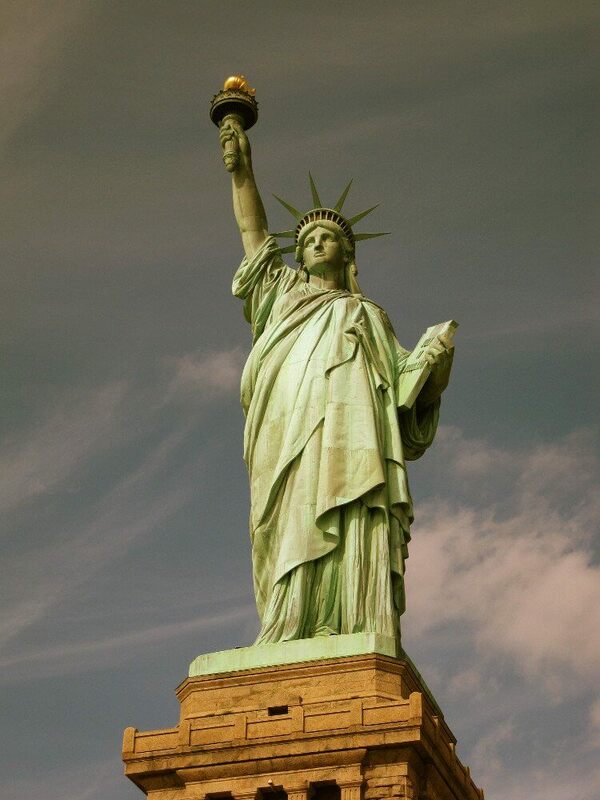 You know you want a selfie with Lady Liberty!